The Tesla Model S is the best car in the world. My first year with the Tesla Model S has been very enjoyable. It is fast and efficient, has incredible pick-up and looks amazing. I love that it has almost no moving parts and zero emissions. My law practice requires me to put about 25,000 miles per year on my vehicle and each mile of this past year has been a pleasure. I have owned a Tesla Model S since mid-March of 2013 and can report that it is, by far, the best car that I have ever driven. Beyond the beauty of its design, the performance of the vehicle is world-class. Most importantly, the Tesla Model S is environmentally friendly and almost maintenance free. Amazingly, no other start-up automobile manufacturer has succeeded in the United States in the last 90 years. That is, no company since Tesla Motors. Tesla has been successful to date but the future is still uncertain. The uncertainty stems not from the quality of the product, as there is a growing consensus that the Tesla Model S is one of the best cars ever produced but, rather, from the fact that there are huge corporate interests working against it. 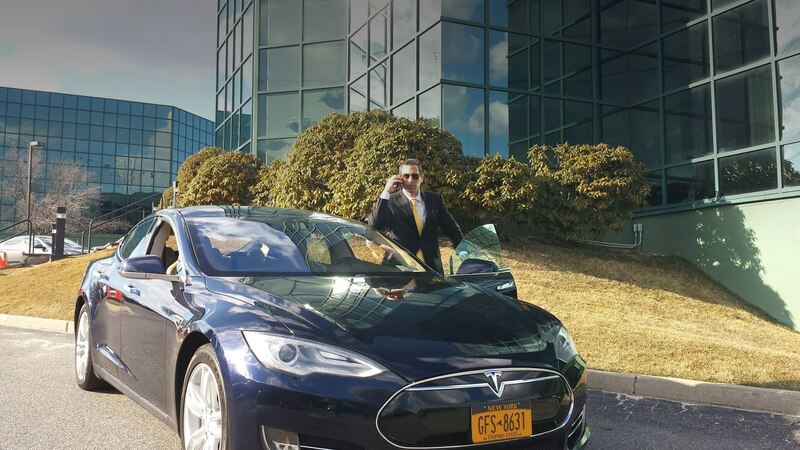 Tesla Motors does not focus its profit generating on dealer service of its vehicle. In my more than one year of ownership, which includes nearly 25,000 miles of travel, I have spent $0 on service! My last vehicle was a Mercedes S Class Hybrid. I spent thousands every year on servicing that car and it did not provide anywhere near the performance. I also spent approximately $500 per month on the required “Premium” gas. With the Tesla Model S, I drive the same mileage each month but only spend about $160.00 on electric. Both cars retail for about the same price. However, the Tesla Model S came with a $7,500 federal tax credit. There is no comparison between these two vehicles on either performance or efficiency metrics. As a plug-in all-electric vehicle, The Tesla Model S has an impressive range of approximately 250 miles on a full charge. Charging is simple, as I plug my vehicle in each time I pull it into my garage. I have a High Powered Wall Charger and recharge to full capacity in anywhere from a few minutes to a few hours, even if I have run the charge down significantly that day. Additionally, Tesla has built and continues to build “Super Chargers” which are able to restore 170 miles of charge in 30 minutes. Supercharge use is free for the life of my Tesla Model S (that is right, FREE) and the superchargers are powered by the sun. Every morning I enter my car with a full charge and have rarely needed to add charge during the day. The concern I and many others have is that the monied interests behind the big oil companies and the automobile industry will be successful in inhibiting the growth of Tesla and even, potentially, causing enough economic damage to put them out of business. Many states, under pressure from automobile dealer lobbies, have attempted and sometimes succeeded in stopping Tesla from selling vehicles in their state. Texas and New Jersey recently passed laws prohibiting selling cars directly to consumers without franchised dealerships. Now, as most everyone will attest, it is no fun walking into an automobile dealership and dealing with a salesman who will not give you a bottom line price and pressure you to purchase. Tesla Stores are casual and there never is pressure to purchase. I purchased my car online from the Tesla website. It was the most rewarding, pressure free car purchase that I have ever made. The Tesla Model S performs better, is easier to purchase, requires very little maintenance, charges at home and comes with free supercharger service. It is also environmentally friendly, quiet and beautiful. Elon Musk, Tesla’s founder, has done something remarkable. Hopefully, Tesla will continue to prosper and deliver on Elon’s promise to deliver a Tesla for the masses. If Tesla ultimately produces a model in the 40-50 thousand dollar price range, it will not only succeed but, possibly, become the most successful automobile manufacturer in history. That success would benefit every person on this planet because as new renewable sources of electric power are created and put into use, our reliance on carbon emitting fuel sources will lessen and, hopefully, our environment can be saved.